Large flowers on tall spikes make this an attractive flowering plant. Yucca cernua or nodding Texas soapwort is a newly described species that was first described in 2003. 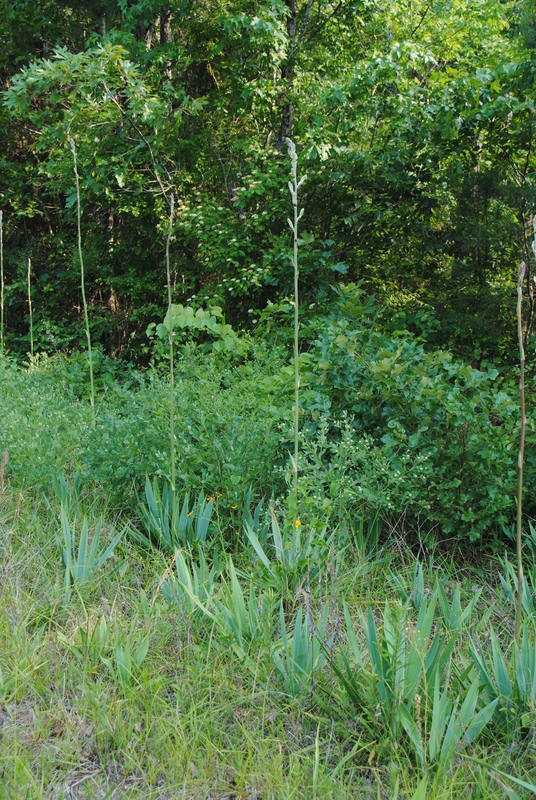 It is found growing in only 2 counties in east Texas and is comprised of about 2000 plants along a roadside and on private land. In the wild it forms relatively small rosettes of blue-green foliage growing in the margins of woods. I collected this plant in 2011 and could immediately see its landscape potential. The glaucous foliage is quite lovely in its own right making clumps to nearly 3′ tall and a bit wider. In spring, flower stalks emerge and grow to almost 10′ tall and bear large, nodding, creamy-white flowers. The plants tend to grow singly but will offset a bit as they become mature enough to flower. These plants will presumably soon be listed as federally endangered. Check out the JC Raulston Arboretum’s plants in the Xeric Garden. Glaucous, blue-green foliage makes the rosettes quite attractive. 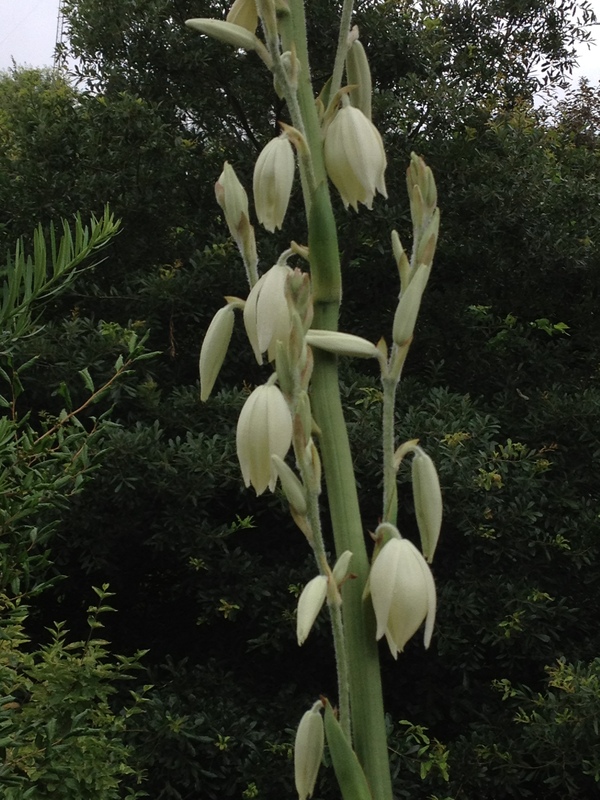 Yucca cernua in the open pine woods of east Texas. 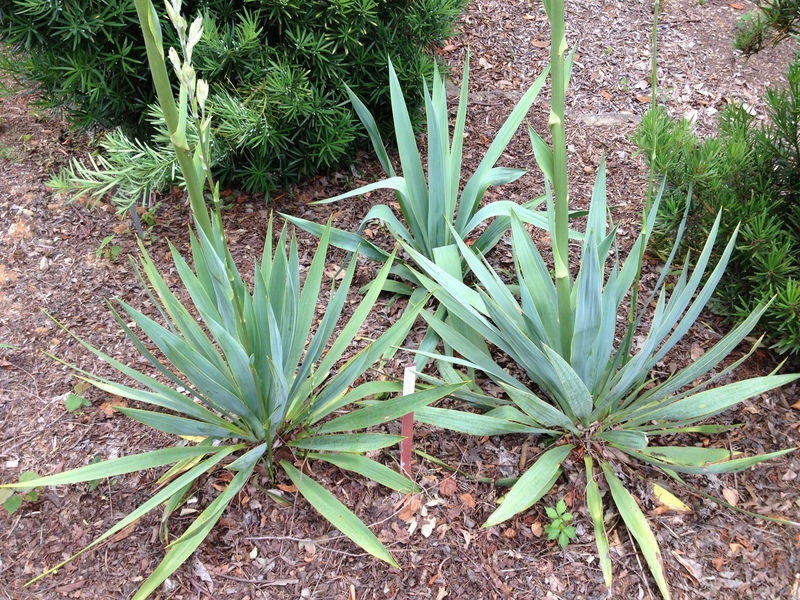 This entry was posted in Plant of the Day and tagged Texas soapwort, yucca cernua on July 9, 2013 by Mark Weathington.